Members of the public who would like to support the cause can join the online petition at https://www.change.org/p/mcdonald-s-south-africa-stop-the-suffering-of-hens-commit-to-cage-free-eggs. Join the conversation on Facebook (https://www.facebook.com/McDonalds-SA-must-go-Cage-Free-225179401168867/?fref=ts) and other social media platforms with #McDonaldsSACruelty and #CageFree. 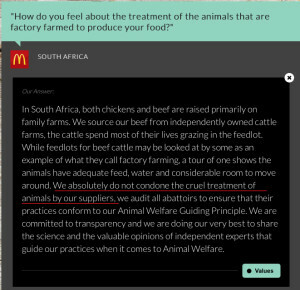 On the McDonald’s South Africa website there are a host of questions that McDonald’s respond to under the heading of “Know Our Food”? Sadly there are still no responses to why they are refusing to commit to source eggs from cage-free hens in South Africa but this question is demanding an answer by the public and Animal Protection Groups in South Africa. Watch the video here of why South Africans are getting plucky about clucky and McDonald’s media statement on this. The online petition supported by thousands and additional pressure from four local animal protection groups might just get McDonald’s South Africa’s attention to source eggs from cage-free hens in South Africa, despite the popular franchise’s refusal to commit when appeals were made earlier this year. To date, more than 15,000 people have signed the petition. 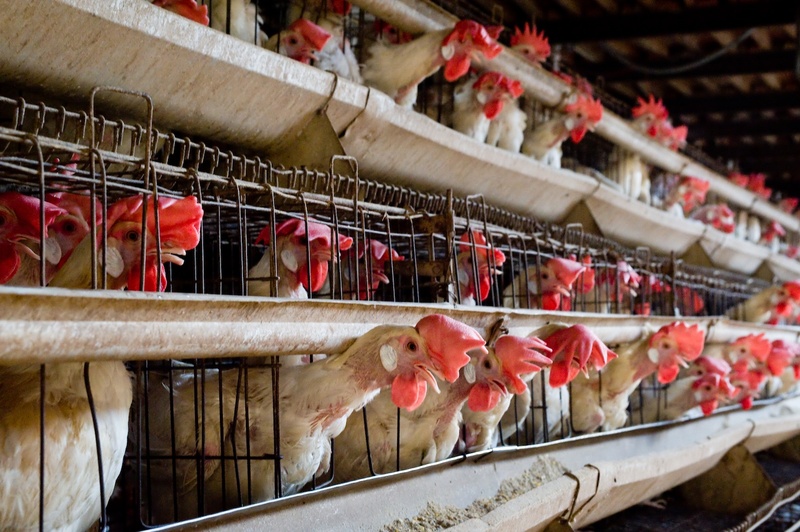 During September 2015, McDonald’s internationally committed to phasing out battery cages from their supply chain in Canada and the United States within 10 years (following previous animal welfare commitments in Europe, North America and South America). However, corresponding commitments have not been made by McDonald’s South Africa. SA animal protection groups Beauty without Cruelty SA, United Front 4 Animals (UFA) and South African Faith Communities’ Environment Institute (SAFCEI) have all written to Greg Solomon (CEO of McDonald’s South Africa) and Sechaba Motsielo (Corporate Affairs Director of McDonald’s South Africa) during February 2016 to address the company’s use of caged eggs. McDonald’s maintain “We absolutely do not condone the cruel treatment of animals by our suppliers”. Yet they continue to use battery eggs. 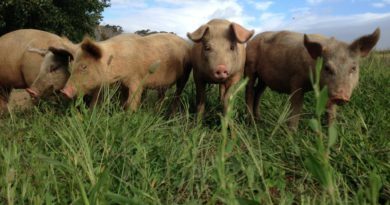 Animal Voice, the official South African representative of Compassion in World Farming (which has been lobbying McDonald’s SA to make a commitment for a long time) has also added their voice to this campaign. Following McDonald’s SA’s response, consumers are not impressed and have responded “we’re NOT lovin’ it, McDonald’s SA” after an online petition asked for public support to address the issue.